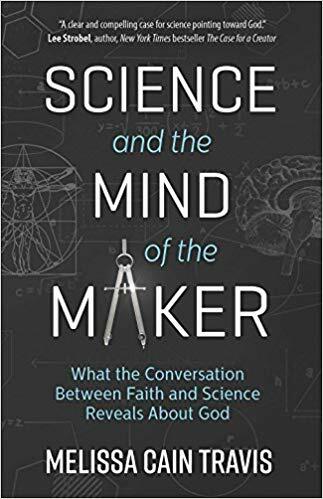 Melissa Cain Travis joined me on the show this week for part 1 in discussing her new book, Science and the Mind of the Maker: What the Conversation Between Faith and Science Reveals About God. We ended up having a great discussion relating to apologetics to children, women in apologetics, and issues about science and faith. I really wanted to her Melissa’s thoughts on apologetics to children because she is the author of a Young Defenders apologetics storybook series. The books in this series include: How Do We Know God is Really There?, How Do We Know God Created Life?, How Do We Know Jesus is Alive?, and How Do We Know Right from Wrong?. Melissa serves as Assistant Professor of Christian Apologetics at Houston Baptist University, where she has been on the faculty since 2013. She is a contributing writer for Christian Research Journal and has written for the CT Women column on the Christianity Today website. Melissa is pursuing a Ph.D. in humanities, focusing on the history and philosophy related to scientific and mathematical thought in the Western tradition and contemporary scholarship. She earned the Master of Arts in Science and Religion from Biola University. I hope you enjoy our conversation! Don’t miss part 2 next week. Do you have any other questions on the topic? Comment below!